World Sport Chicago hosts its annual Family Sports Festival in coordination with Olympic Day Chicago on June 15 at Seward Park. Last year's Olympic Day/Walk to London 2012 event was an outstanding event as it featured more than two dozen Olympians, Paralympians and coaches who assisted nearly 4,000 youth and their families as they attempted 30 sports. Sign up at: www.teamusa.org/ODAthleteRegistration to take part and please let Diane Simpson know at dsb1988@sbcglobal.net to ensure we have you on the World Sport Chicago list. The Midwest Olympians and Paralympians Walk to London 2012 at the 3rd Annual World Sport Chicago Family Sports Festival featured nearly 20 Olympians and two Paralympians on Saturday, June 16, at Armour Square Park in Chicago! We joined 500 participants who were counted toward the U.S. Olympians Association goal of walking more than 5,000 miles to London. The Family Sports Festival featured Chicago's professional sports teams and more than 50 community sports organizations as up to 4,000 kids and their families took part in about 30 sports. 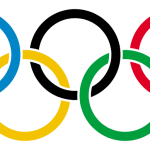 The Host City decision for the 2016 Olympic and Paralympic Games held in Copenhagen, Denmark went to Rio de Janiero in Brazil. Hats off to the Olympians, Paralympians, coaches, elite athletes and hopefuls, and citizens who contributed so much time and effort, along with Mayor Richard M. Daley, Chairman and CEO Patrick Ryan, the thousands of city, state and national officials, Committee members, business and community leaders, and Chicago 2016 staff and volunteers! The U.S. Olympians Association Board of Directors amendment in 2011 to include Paralympians as part of its organizational membership and structure is still being developed. The changed called for the inclusion of a Paralympian vice president in addition to the current six vice presidents, and Midwest Chapter Secretary Linda Mastandrea got the nod. "There are two events, the Olympic and Paralympic Games, but we are all one Team USA." said Willie Banks (athletics, 1980, 1984, 1988), president of the USOPA. "We are all athletes, and we are proud the organization will include both Olympians and Paralympians." Applause to the Midwest Chapter of U.S. Olympians and Paralympians, which paved the way as the first chapter in the country to change By-laws to include Olympians and Paralympians in the same chapter. "This announcement is formal recognition that athletes who wear the red, white and blue are forever part of something larger than themselves and their achievements on the field of play," Midwest Chapter Secretary Linda Mastandrea said. "It is an acknowledgement that the Paralympic athletes are an integral part of the Olympic Movement in our country, and that our Movement is that much stronger as a result." More than two dozen Olympians, Paralympians and Sports Legends, and the Stanley Cup, attended the World Sport Chicago-hosted Beyond Sport Summit Sept. 29-30, along with other prestigious representatives of the Olympic Movement and Peace and Sport organizations, such as HRH Prince Faisal bin Al Hussein of Jordan, an International Olympic Committee member, and Baroness Tanni Grey-Thompson a five-time Paralympian and winner of 11 gold medals, four silvers and a bronze in athletics. The two-day conference of philanthropic efforts to promote peace through sport included a reception hosted by Mayor Richard M. Daley, at the United Center, the home of the Chicago Bulls and Stanley Cup Champion Blackhawks. Find out more at: www.beyondsport.org/the-summit. See bottom for a list of some of the athletes. World Sport Chicago, along with several professional sports teams, hosted the first Family Sports Festival at the University of Chicago at the Midway Plaisance on Sept. 18. Thanks to: Steve Alley (hockey, 1976), five-time Paralympian and Beijing Paralympic Games Opening Ceremony flag bearer Jen Armbruster (goalball, 1992, 1996, 2000, 2004, 2008), Shani Davis (speedskating, 2006, 2010), Nicholson, Morgan, Redding, Simpson-Bundy and Yeung for their support with a special nod to the Chicago Bulls, White Sox, Cubs, Fire, Red Stars and Sky for coming out for meet-and-greet appearances and clinics in a day of mostly pouring rain that still brought out 1,000 youth and their families. The National Junior Disability Championships Opening Ceremonies held July 18 at Deerfield High School in Deerfield featured more than a dozen Paralympians and coaches who led athletes around the track in their Paralympic or Olympic garb and offered words of encouragement. A meet-and-greet followed at the Hyatt afterward with participants including Patrick Byrne, Ella and Ian Chafee, Jean Driscoll, Jessica Galli, Lee Jonas, Amanda McGrory, Paul Moran, Sheila O’Neil, Bob Szyman, PhD, Mikel and Don Vandello. Title sponsor World Sport Chicago, Wheelchair Sports, USA, Great Lakes Adaptive Sports Association and U.S. Paralympics supported the event held July 17-24 with a "sneak appearance" by World Sport Chicago Chairman and former Chicago 2016 Chairman and CEO Patrick and Shirley Ryan. Thanks to Joel Berman of Adaptive Adventures for the photos! Four Olympians took part in the World Harmony Run with the torch of peace from the Lincoln Park Zoo to the Cloud Gate sculpture in Millennium Park to the green area near the Art Institute in Chicago on July 26. Thanks to Brian Hansen, Tom Pukstys, Diana Williams Muhammad and Diane Simpson for joining World Harmony Run officials in the city and later for leading Chicago Park District youth through a "tour around the world" in the park. The National Italian American Sports Hall of Fame played host to honor film star Iraq War veteran and Paralympian American-record holder Melissa Stockwell (swimming, 2008), during a screening of Warrior Champions. World Sport Chicago Chairman Patrick Ryan and Director of Paralympic Sport and Accessibility Pam Redding (swimming coach, 1996, 2004; team leader, 2000) and NAISHOF inductee Linda Mastandrea (athletics, 1992, 1996) led off the remarks. Ella Chafee (swimming, 1964, 1968; athletics, 1968; fencing, 1996) and Ian Chafee (Paralympic team manager, 1976, 1980, 1984), Steve Gregg (swimming, 1976), Gary Morgan (athletics, 1988), Simpson, and Chicago 2016’s Chris Simek and other collegues attended the brilliant evening and discussion by Stockwell, filmmaker/co-director Craig Renaud and two local Paralympic military athletes, Chad Watson and Steve Baskis. Look closely to catch Paralympic Medalist and Desert Storm/Desert Shield veteran John Register (swimming, 1996; athletics, 2000), formerly of Oak Park. Thanks to the recent athletes, coaches and honorary members for sending in your annual 2010 dues of $30 to keep the Midwest Chapter going! Recent contributors include: IOC Historian John MacAloon, PhD, Jeanne Collier (diving, 1964) and Chuck Burke (speedskating, 1952, 1956). Donations can be mailed to: 1849 Winnetka Road, Northfield, IL 60093. Congratulations to our regional-area 2010 Paralympians: 2006 Sled Hockey Bronze Medalists Steven Cash of Overland, Miss., and Andy Yohe of Bettendorf, Iowa, who captured the gold medal in a 2-0 victory against Japan in Vancouver, B.C. Two-time Olympic Gold Medalist and U.S. Olympic Hall of Fame Member Scottie Pippen (basketball 1992, 1996) will be inducted into the Basketball Hall of Fame on Aug. 13. Pippen won six NBC titles with the Chicago Bulls and was named one of the 50 Greatest Players in NBA History. Ralph Metcalfe, Jr., son of former Illinois congressman and Olympian Ralph Metcalfe (athletics, 1932, 1936), attended the 116th Penn Relays in Philadelphia to commemorate his father's 100th birthday on May 30. The Metcalfe Centennial was celebrated April 26 during the running of the men's 4 x 100-meter relay, which was captured in a meet-record of 37.90 by Olympic Gold Medalist and World Record-holder Usain Bolt (8.79 split) joined by fellow Jamaicans Mario Forsythe, Yohan Blake and Marvin Anderson. "I can't find words to tell you about the oldest track meet in America," Metcalfe, Jr. said. "They had races every five minutes. They announced [the Centennial celebration] right before the race." Metcalfe, who broke or tied every world sprint record (13 total), earned the gold medal in the 4 x 100-meter relay in a world-record time of 39.8 with fellow Midwestern star Jesse Owens, Foy Draper and Frank Wykoff at the 1936 Olympic Games in Berlin, where current Midwest Chapter member Adolph Kiefer also claimed gold in the 100-meter backstroke. Owens and Metcalfe went 1-2 in the 100 meters, while earlier at the 1932 Olympic Games, Metcalfe claimed silver in a virtual dead-heat 100 meters and bronze in the 200.